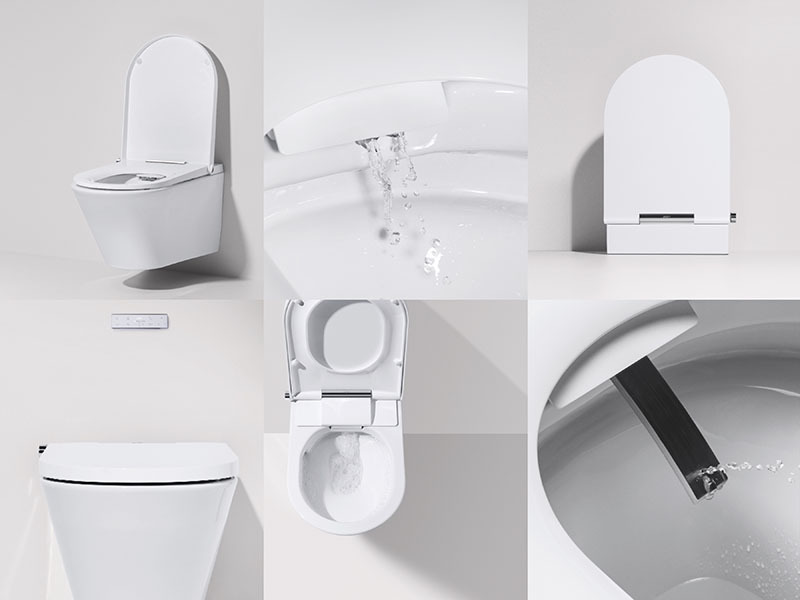 The next generation of bathroom technology, we’re delighted to introduce AXENT.ONE, an innovation in bidet toilets that promises to revolutionise your daily cleansing routine. Utilising the power of water, AXENT.ONE offers the most hygienic way to stay fresh after using the bathroom with inbuilt smart technology that provides a variety of wash and dry functions as well as a luxurious heating setting to suit your every need. Controlled by a single discreet button, this easy-to-use dial, based on the mechanisms of a Swiss timepiece, regulates the position and flow of the shower spray, as well as the water’s temperature. For remote use the AXENT.ONE PLUS comes complete with a touch-sensitive control that allows you to operate a range of functions with ease, as well as programming up to five user settings. Operational via the Smart Control app which uses Bluetooth to automatically connect a mobile device to your toilet, you can ensure a pleasurable experience without having to come into contact with the surface. Wash Function: A strong but gentle water spray washes you while you are seated on the toilet. The temperature and intensity of the spray can be adjusted easily at the touch of a button. Self-Cleaning: AXENT.ONE is equipped with a nozzle that is cleaned automatically with fresh water before and after every use. Water Temperature: For water temperature adjustment, simply pull out the multifunction dial, turn it and wait for two ‘beeps’ to sound. Rimless Bowl: The rimless design and stain-resistant surface make the AXENT.ONE easy to clean. Night Light: The energy saving LED light provides confortable lighting for use at night. Warm Air Dryer: Use the remote control to adjust the temperature of the warm air dryer. The resulting gentle airflow across your skin leaves you feeling clean, fresh and dry. Deodoriser: Once the bidet toilet’s sensor recognises that you are sitting down, the automatic deodoriser activates. This neutralises odours rapidly, enhancing your experience and improving overall bathroom wellbeing. Seat Heating: To maximise comfort, the seat includes adjustable heating that can be set to you individual needs. An integrated sensor detects your presence on the seat and, if set to heat, starts to warm immediately.